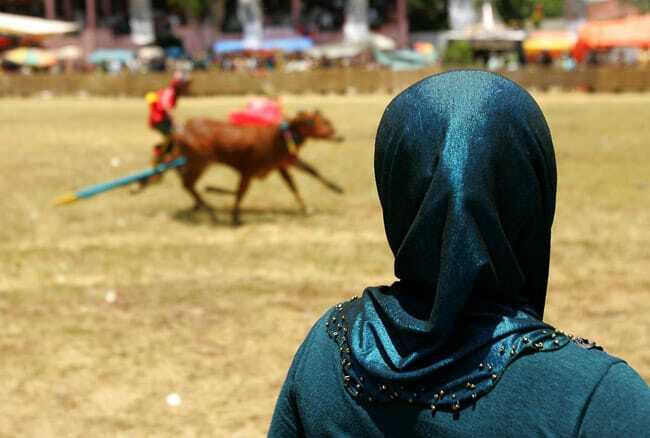 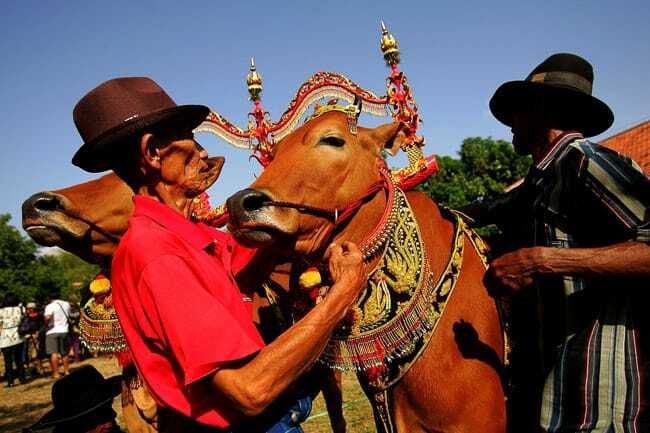 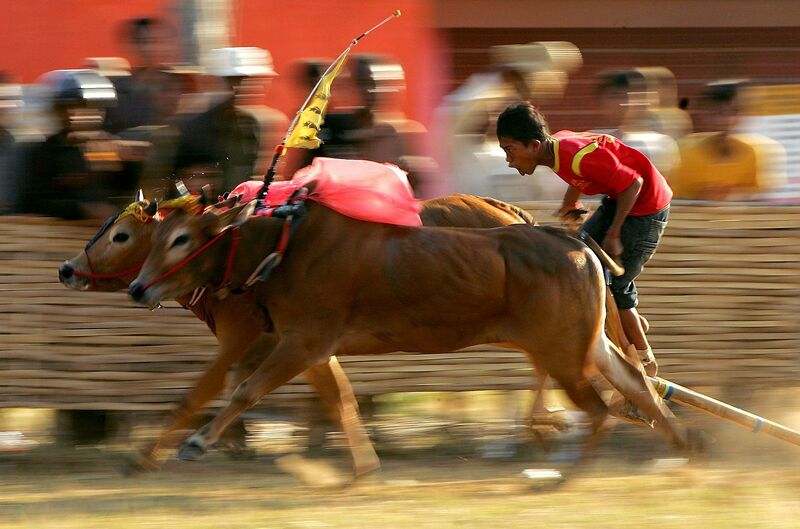 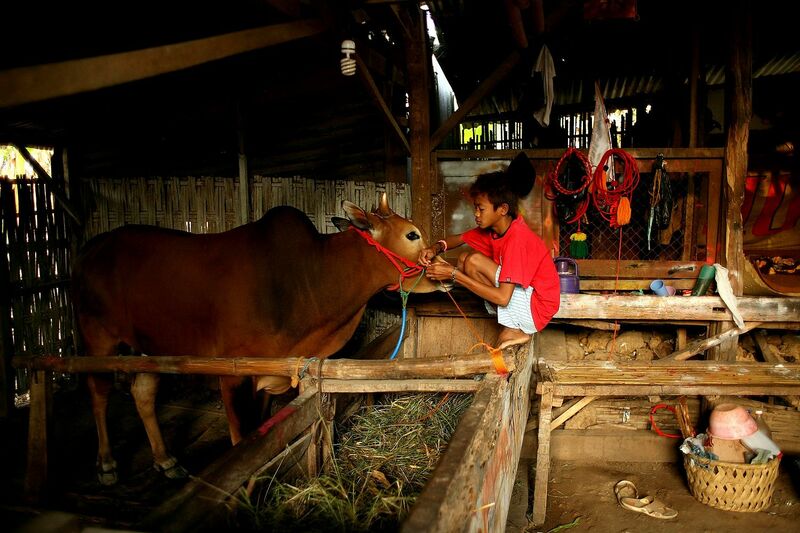 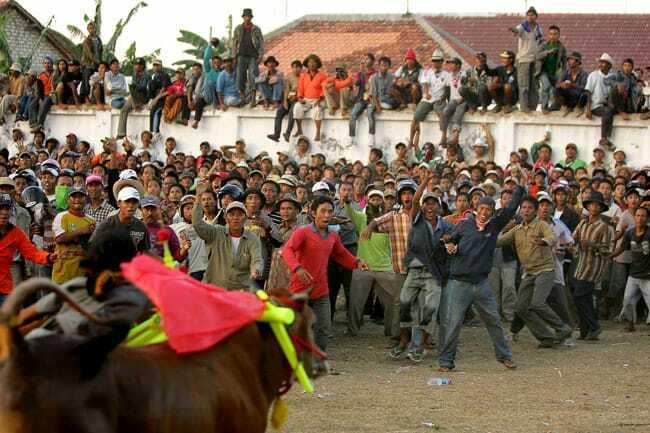 Bull Racing is called Kerapan Sapi by the locals on the small island of Madura, Indonesia. 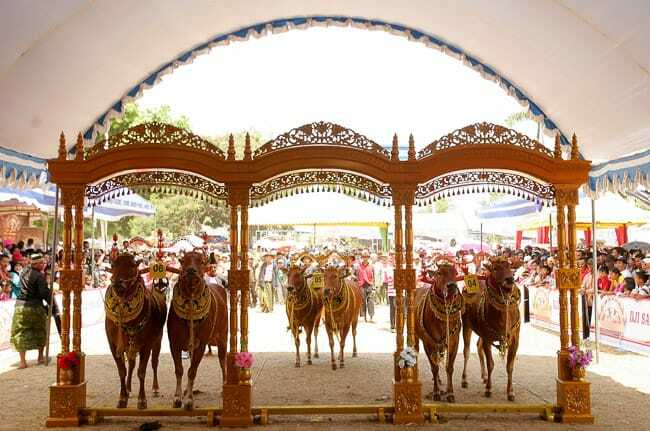 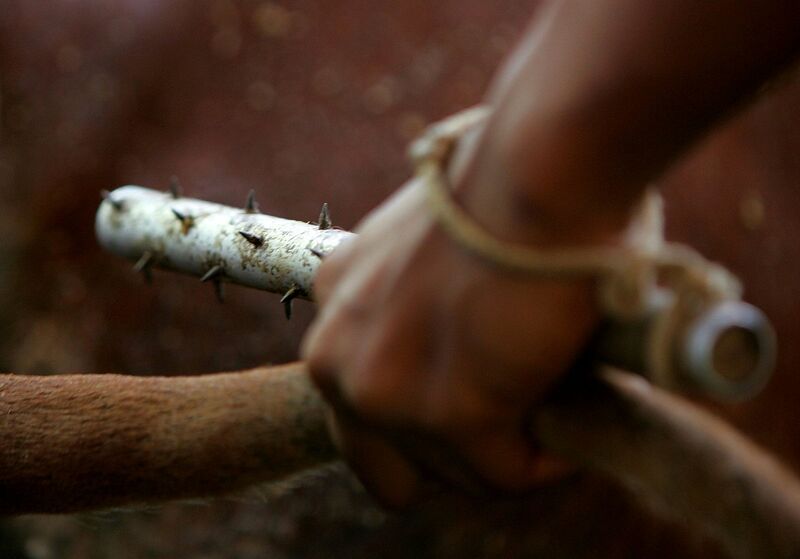 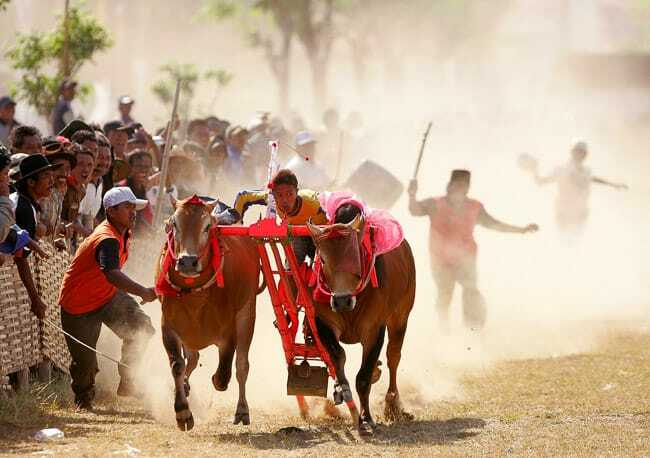 The races, which are conducted in the rice fields and small stadiums throughout the island consist of two bulls harnessed together with a jockey riding on a wooden board, known as a Kaleles, between the two bulls. 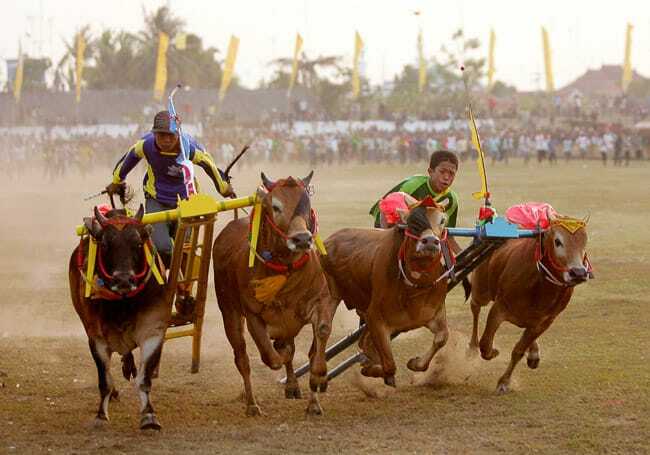 The race season is set from July through October, with the last race of the season selecting the overall champion in the capital of the island, Pamekasan. 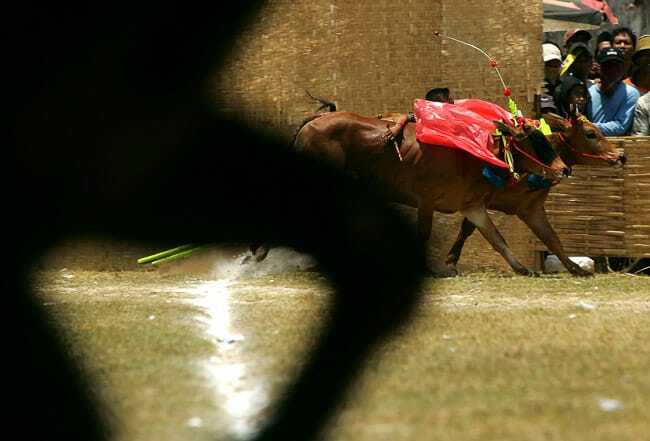 The races are conducted over rather short courses, averaging 120 meters long and 30 meters wide. 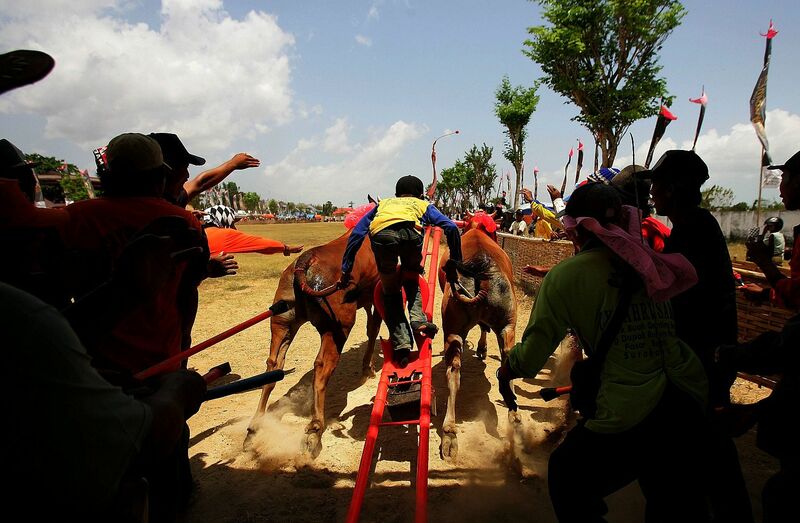 Race day is conducted in a series of elimination heats between winners and losers of preceding heats. 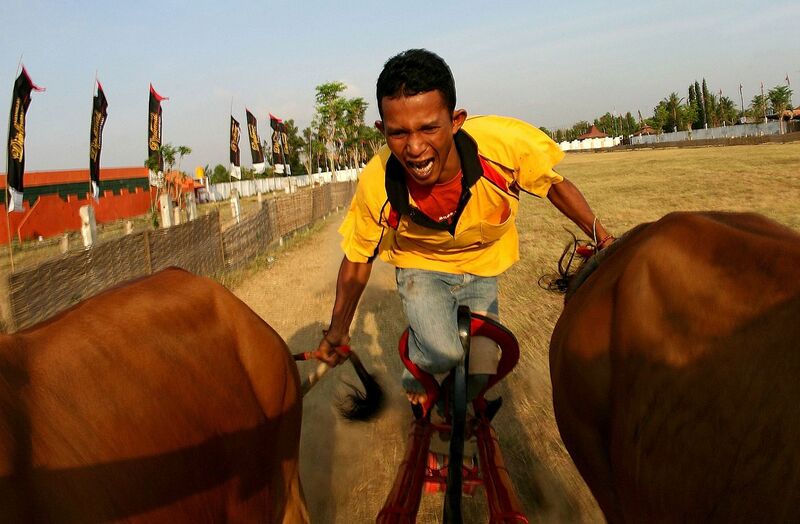 Excitement mounts heat after heat and eventually two sets of winners are determined, the best of the losers and the best of the winners.